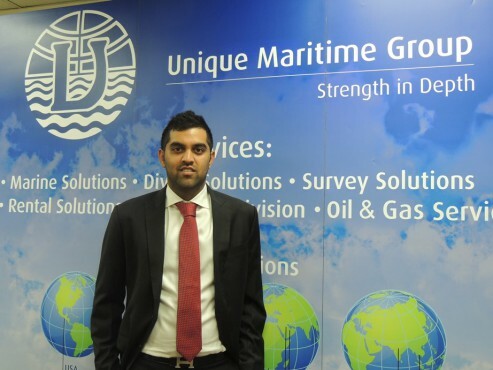 Unique Wellube FZC, a Unique Maritime Group Company which is one of the world’s leading integrated turnkey subsea and offshore solution providers is proud to announce the widening of its portfolio of services by signing exclusive agency and distribution agreements with 3 new associations. Unique Wellube’s current offering includes a wide range of specialist engineering services and associated products. These services are focused on ensuring plant and pipeline operability and avoiding costly unplanned shutdowns by allowing intervention and plant critical maintenance work to be carried out without interrupting the process thus avoiding loss of production, in a safe and cost effective manner. Some of these services include: Pipeline Rehabilitation, Hot Tapping and Line Stopping, On-Site Machining, Under Pressure Leak Sealing, Pipeline Repair Clamps, On-Line Safety Valve Testing, On-Line Valve Maintenance and Pipe Freezing. Unique Wellube FZC has signed an exclusive agreement with Inpipe Products, UK to represent their products in the GCC region. This agreement covers both rental and sale of the full range of products that Inpipe has to offer. Some of these products include Pipeline Isolation Tools, Low/medium/high pressure plugs, flange weld testers and inline internal weld testers rated to ANSI 900 class. Unique Wellube also partnered with Weldfit Corporation USA by signing an exclusive distribution agreement to represent their full range of products in the GCC region. The wide range of products included as part of this agreement is hot tap & line stop (hot tap tees and Sureloc line stop tees), pipeline (flow tees, anchor and swivel-ring flanges, pipeline reinforcing sleeves, full-encirclement and partial reinforcing saddles), extruded outlet headers & manifolds and oilfield equipment (Type 6B and 6BX Flanges, API Type 16B and 16BX Hub Connectors, Clamps for Type 16B and 16BX Hub Connections, API Crosses and Tees, Drilling, Diverter and Spacer Spools and Double Studded Adapter Flanges). Adding on to this another partnership is signed as part of the exclusive agreement with Mactech Inc, USA to represent their full range of products in the GCC region and in India. The agreement covers both the rental and sale of their products such as Clamshell Lathes, Industrial Drills, Elliptical Manway Machine, End Mount Shaft Lathes, End Prep Lathes, Flange Facers, Heavy Duty Mills, Line Boring Bars, Industrial Motors, Portable Mills, Industrial Saws, Special Design Tooling, Stresstech, Sunnen Hone Set, Diamond Wire In Line, Articulating Saws and Waterwall Window Machine. Not leaving behind, Unique Wellube Nigeria Limited will now represent exclusively Weldfit Corporation USA in Nigeria for its entire range of products.